Nearly 15,000 descended Saturday morning on downtown Houston for the city’s March For Our Lives, advocating for greater gun control in light of last month’s Florida school shooting. A mix of children and adults gathered in Houston’s Tranquility Park for the student-led march, many carrying signs that illustrated their fear of violence and demand for legislative action. Hundreds of marches are taking place across the country, largely driven by students who are organizing the events. The rally in Washington included Texans like Kay Hopper, a retiree from Austin who showed up with her daughter, son-in-law and grandchild. “I’m hoping that what starts here will change the world in Texas,” Hopper said. In Houston, organizers expected 10,000 to 20,000 attendees to gather in Tranquility Park and march toward U.S. Sen. Ted Cruz’s office. As protesters milled about shortly before the 9 a.m. start, volunteers worked to register young voters inspired into political action. Many brought signs voicing opposition to the National Rifle Association, while others implored replacing legislators who have been more supportive of expanded gun rights. Emphasis mine. I’ll get back to that in a minute. Mayor Turner spoke at the rally, and he announced the creation of the Mayor’s Commission to End Gun Violence. Details will be forthcoming. In the meantime, there were rallies around the state as well. In more than 800 planned “March for Our Lives” events across the country – including in Austin, Houston and Dallas – students and families protested against gun violence and called on lawmakers to take decisive action. Thousands clogged Austin’s Congress Ave and gathered outside the pink-domed Capitol building, chanting and applauding as speakers – including Mayor Steve Adler, actor Matthew McConaughey and the local high school students organizers of the event – took their turns rallying the crowd. “We cannot allow one more child to be shot at school. We cannot allow one more teacher to make the choice to jump in front of an assault rifle,” said state Sen. Kirk Watson, D-Austin. “Not one more.” The crowd broke into chants of “Not one more!” as he spoke. Many of the speakers at the Austin event pointedly described state lawmakers’ dithering on gun-control laws, and called for reforms – like a ban on assault-style weapons and bolstering the background-check process. Watson dismissed a push to arm school staff and educators with weapons by saying teachers in the state are already-overburdened. “Adding sharpshooter to their list of obligations is ridiculous,” he said. There were many more marches around the country and around the world as well. These are great to see, but what comes next is of greater importance. There is – correctly – a lot of focus on Congress, as there is a lot that can and should be done at the federal level to reform gun laws. Part of the reason for that is because Democrats have a decent chance of retaking the House, and even if they can’t get the Senate this year, it along with the Presidency are very doable in 2020. It’s a much bigger challenge at the state level – the Lege isn’t flipping, and statewide offices are very much longshots. But we can make gains, and we can state our goals for state government, which if nothing else can serve as both vision and rallying cry. Right now, though, I don’t know what those goals are – I’m not even sure I could say what they should be. We’re pretty clear on things like education, health care, equality, the environment, and criminal justice, but gun issues have not been in the foreground except for when we have had to play defense. Someone asked me recently if I could point them to a legislative scorecard for gun control, and the only one either of us could find was from the NRA. There are local chapters here of national groups like Everytown for Gun Safety and Moms Demand Action, but again that focus has been on the national scene. We know that if we want to change things in Texas we need to win more elections, but we need the candidates we are electing to have gun safety as one of their mandates. What is it we hope to accomplish on this issue in the Legislature in 2019? That needs to be our starting point. I suppose this was to be expected. About a month ago, the city of El Cenizo filed a lawsuit against the state, calling the bill unconstitutional. On Monday, the Trump administration got involved. The defendants in the lawsuit are the state of Texas, Gov. Greg Abbott and Texas Attorney General Ken Paxton. The fight started May 8, the day after Abbott signed SB 4 into law. The city of El Cenizo filed a motion for preliminary injunction against the state, attempting to stop SB 4 from taking effect in September. “This is a violation of civil rights and human rights. It’s a reckless, dangerous and discriminatory bill that should not only be halted but declared unconstitutional,” El Cenizo Mayor Raul Reyes said. “This is a battleground,” said attorney Luis Vera, with the League of United Latin American Citizens, or LULAC. Vera represents El Cenizo. On Monday, his job got a lot more difficult. “I received an email from the Department of Justice. President Donald Trump has ordered the Department of Justice to enter the case against El Cenizo and to file a brief and a statement of interest in support of the state of Texas, asking the federal courts to deny our motion for preliminary injunction,” Vera said. I’m sure we’ll be hearing the outraged cries about the evil federal government messing in our precious local affairs any minute now. Until then, the Statesman fills in a few details. The U.S. Department of Justice contacted Austin’s legal department on Monday indicating its intent to file a “statement of interest” and asked to be involved in the court hearings next week on SB 4, according to a city spokesman. City officials learned of the Trump administration’s interest just as they were preparing to file a motion Monday asking a court to temporarily block the law, which is set to take effect Sept. 1. The city’s filing contains more than a dozen statements, including those from three Austin City Council members, Mayor Steve Adler, interim Police Chief Brian Manley and South by Southwest co-founder Roland Swenson. The statements are intended to be used as evidence that SB 4 would create hardship and economic harm for the state if the law is implemented. “Ultimately, my sincere belief — that I have expressed in multiple public statements to my constituents — is that implementation of SB 4 will make Austin less safe,” Adler said in a sworn declaration to the San Antonio federal court that will hold its first hearing June 26 on a legal challenge to SB 4 filed by San Antonio and Austin. Meanwhile, Texas Attorney General Ken Paxton announced Monday that his office had joined nine other states in filing briefs in support of President Donald Trump’s executive order that would cut some Department of Justice grants to cities that prohibit local law enforcement from communicating with immigration agents. Austin and Travis County are in compliance with those laws. Back in April, a federal judge in San Francisco blocked Trump’s Jan. 25 executive order from taking effect while a court fight over that measure plays out. Austin and Travis County are among dozens of cities and counties challenging that order in court. Paxton’s brief is a separate matter from the SB 4 lawsuits but reflects the growing number of fronts in the fight over “sanctuary cities,” regarded as local jurisdictions that decline in some way to assist federal immigration enforcement. I think it’s safe to say that all eyes will be on San Antonio on Monday. Hopefully, the city of Houston will have gotten involved by then. Now that Senate Bill 4 is on its way to becoming law, opponents are looking to the courts for relief – and a 2012 U.S. Supreme Court case is giving them hope. The high court struck down parts of a controversial 2010 immigration law in Arizona on the grounds that Congress, not the states, has the power to create immigration law. Experts say that argument could come into play with Texas’ SB 4, which requires local jails to comply with immigration detention requests that federal officials have said are voluntary. Among other things, SB 4 would create civil and criminal penalties for officials who disregard requests by U.S. Immigration and Customs Enforcement to extend the detention of jail inmates suspected of being in the country illegally. Those detention requests, or detainers, help facilitate possible deportation proceedings. State Rep. Rafael Anchia, D-Dallas, predicted that the bill will follow the same course as Arizona’s SB 1070, better known as the “papers please” law because it required law enforcement officers in Arizona to demand the documentation of anyone they believed was in the country illegally. Texas’ SB 4 doesn’t require officers to ask, but it prohibits sheriffs or police chiefs from keeping their officers from doing so. “It allows local law enforcement to ask anybody on the street for their immigration status,” said Anchia, who chairs the Democrat-dominated Mexican American Legislative Caucus, which is fighting the state in court over redistricting maps it says are racially discriminatory. Critics have argued the bill would separate families, deport well-meaning immigrants and create a fear in immigrant communities that might undermine their safety. Sessions confirmed Tuesday to the mayors that compliance with the federal immigration detention requests sent to local jails — the central requirement of SB 4 — isn’t mandated under federal law. Rather, the jails can choose whether to hold inmates longer at the request of ICE, Sessions said. That the comments came from such a high-ranking Trump administration official deflated the notion often associated with SB 4: that local officials like Travis County Sheriff Sally Hernandez are breaking federal law by choosing to ignore some ICE detention requests. It also raised questions over whether the state could step in and create an immigration law making the detainers mandatory. See here for the background, and here for more on what Mayor Adler said about his meeting with Sessions. I hope opponents of this lousy bill flood the zone with lawsuits. It’s clear from the HB2 experience that setbacks in court will not stop the Lege from trying the same things again in the future, but it’s still necessary. Also, I say Greg Abbott has always had authoritarian inclinations, he’s just more comfortable expressing them in public now. There will also be many headaches for law enforcement agencies, which strongly opposed SB4. Houston Police Chief Art Acevedo spoke vehemently against Senate Bill 4 Thursday afternoon, calling it a dangerous move by the state Legislature because it would redirect limited HPD resources from crime fighting efforts to an initiative that does not improve public safety. Acevedo did not share if HPD would alter its policies if SB 4 were to become law. However, he made it clear during the afternoon presser he would make public safety a priority over policies he believe are unrelated. “I am carrying out my sworn duty and moral duty to speak out on matters of public safety. And I’m not here to keep a job to do it,” he said. The legislation would force police to honor all federal requests to detain people suspected of being in the country illegally until federal authorities can investigate the person’s status. It also would prohibit local jurisdictions from passing or enforcing an ordinance that prohibits police officers from inquiring about a detained person’s immigration status, which would nullify the Houston Police Department’s 1990 policy on the matter. “If that language does not get removed … we’re going to have some negative consequences,” Acevedo said. Police departments across the state, including Houston, are understaffed, he said. And the bill would diminish those already limited resources, he added. Just this year Acevedo announced plans to target high-crime areas and violent documented gang members. He also announced a joint effort with the Texas Department of Public Safety to decrease violent crime in the area by creating two squad assigned to the initiative. However, he believes SB4 may affect those plans. “We don’t have the resources, nor do we have the bandwidth nor the desire to be ICE agents. If I wanted to work for ICE, I would’ve applied for ICE,” he said. Acevedo’s worry is that a police officer’s duty and the proposed policy will create a divide among departments throughout the state. While police officers are sworn to protect, he says the bill could open the door for harassment. He went on to add he hopes that isn’t the case, but that perception would be damaging for Houston – particularly on immigrant communities. It’s not about what local officials want, it’s about what Greg Abbott wants. Sorry, Chief. The Chron, ThinkProgress, and the Press have more. Litigious District 6 Councilman Don Zimmerman sued Mayor Steve Adler in his official capacity Thursday, challenging the outcome of the Proposition 1 election on the grounds the ballot language “misled voters and omitted main features” and did not conform to the required format, case caption information shows. A copy of the lawsuit, apparently filed late Thursday, was not immediately available. If you’re keeping score, this is the second lawsuit filed over ballot language; there are also lawsuits over the use of automated text messages sent during the campaign, and over claims that Uber and Lyft’s exit violated federal labor law. The full Statesman story adds some further details. “The city prevailed in the pre-election lawsuit filed on this same topic, and is prepared to defend the actions it took as part of this election process,” the city’s statement said. Zimmerman and his lawyer, Jerad Najvar of Houston’s Najvar Law Firm, argue that “the City’s much-touted fingerprint background check regime” will be enforced too slowly and “lacks any enforcement teeth” even once it’s fully implemented. Zimmerman and Najvar asked in the suit that their complaint be consolidated with any other challenge to the same election to conform with a requirement under state law. They specifically cited the May 10 suit brought by Austin lawyer Martin Harry, who also objected to the city’s ballot language. I still think the ballot language argument is dumb. Honestly, was there anyone in Austin who didn’t understand that Uber and Lyft wanted you to vote Yes on Prop 1? The proposition itself could have been written in Esperanto for all that it mattered. But as always, you never know what will happen once this sort of thing gets inside a courtroom. Engadget has more. At long last, peace in our time. With an escalating culinary battle threatening to destabilize the region, the mayors of Austin and San Antonio met Thursday morning to announce a taco truce. Adler and San Antonio Mayor Ivy Taylor sought to bring to a close a weeks-long feud between their cities over which has the better breakfast tacos, proclaiming peace with the signing of the “I-35 Accords” and declaring each other’s tacos similarly delicious. Soon thereafter, a petition on Change.org to exile Sedacca from Texas quickly gained over 1,700 signatures, describing the Eater article as a “churlishly negligent treatise.” Sedacca’s “wild inaccuracies, which dangerously approach libel,” the petition reads, “have already stirred the ire of many South Texas communities and further discord may loom on the horizon.” Competing op-eds in the cities’ respective newspapers only further escalated the conflict. But, proclaiming March 10, 2016 as “Breakfast Taco Day,” Adler and Taylor sought to put aside their differences and embrace their mutual appreciation of the popular morning meal. And so possibly the dumbest controversy ever – okay, maybe the dumbest one of 2016 so far – comes to an end. Now go and eat whatever breakfast taco you like best. It’s all good. The Rivard Report has more. The month of May just got a lot more interesting. Let the people choose how to regulate Uber and Lyft, a divided Austin City Council decided late Thursday. The council, on a 2-8-1 vote, declined to adopt an ordinance underlying a petition drive that organizers said gathered more than 65,000 signatures. Under city rules about petition initiatives, that means that the city must hold an election on that ordinance May 7. Council Members Sheri Gallo and Ellen Troxclair voted to adopt the ordinance, put forward through the petition drive earlier this year. Council Member Don Zimmerman, although he supports the ordinance and signed the petition, abstained. The election, the Austin city clerk estimated, will cost the city between $500,000 and $900,000, depending on whether some local school districts choose to hold elections at the same time. The choice in May for voters will be between the petition ordinance, similar to Austin’s ride-hailing law that has been in place since October 2014, or, in effect, one passed by the City Council in December that in a year’s time would require virtually all drivers for Lyft and Uber to have passed fingerprint-based criminal background checks. The petition ordinance specifically says that drivers will not be subject to fingerprinting, instead undergoing the company background checks that are based on identifying documents like driver’s licenses and Social Security numbers. 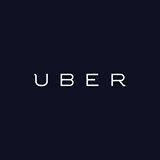 The choice also, if the companies are to be believed, will be between having or not having Uber and Lyft operating in Austin. That would leave only GetMe, a small Austin-based company new to the peer-to-peer transportation business, to offer app-based rides here. That company has said it will abide by the city’s December law, which will go into effect Feb. 28. A “yes” vote by the public May 7 would wipe out that ordinance. The council, on a 4-7 vote, also rejected an alternative ordinance put forward by Mayor Steve Adler that would have been similar to petition ordinance, but would have required transportation network companies to pay the city 2 percent of its annual revenues to fund an incentive program for drivers to be fingerprinted. See here and here for the background. Given all the noise that Uber and to a somewhat lesser extent Lyft are making in other cities that have tried to pass ordinances that regulate vehicles for hire, even ones that didn’t require fingerprints, this election is going to set a precedent. If Uber and Lyft get what they want in Austin, I feel confident they’ll try to do the same in other cities. If not, I don’t expect them to stop trying, but they’ll have to rethink their approach. Either way, the case for statewide regulation, in particular statewide regulation that requires fingerprint checks, takes another step forward. Assuming there were no shenanigans, this is an impressive show of force. A group looking to overturn an Austin ordinance requiring fingerprinting of ride-hailing drivers said Monday it has gathered more than 65,000 petition signatures, more than three times what it will need to force a possible election on a substitute ordinance. Ridesharing Works for Austin, formed just three weeks ago by six nonprofits with support from Uber and Lyft, plans to submit 23,000 of those signatures — 15 percent more than the legal threshold of 20,000 registered voters — Tuesday to the Austin city clerk’s office. The clerk must verify if enough of them are registered and meet other petition requirements. The other 42,000 or so signatures would be held in reserve in case more than 3,000 of the first batch are rejected by the clerk. Once the clerk certifies that the minimum number of legal signatures have been turned in, the City Council would have 10 days to either adopt the revised ordinance or call for a public vote at the next regular election date, which is May 7. The council would have to call for an election by Feb. 19 to get on the May ballot. The next election date is in November. City law does not say how long the city clerk may take to validate the signatures. In 2012, when about 33,000 signatures were turned in for a proposed city ballot initiative, the city clerk used about 10 days to validate the signatures. Council Member Ann Kitchen, who as chairwoman of the council’s Mobility Committee spearheaded the push for requiring drivers to be fingerprinted for background checks, said she would not support council adoption of the substitute ordinance. Kitchen said that the substitute ordinance from Ridesharing Works for Austin, aside from not requiring fingerprinting, would eliminate other elements of the ordinance passed by the council Dec. 17. Ride-hailing cars would no longer need to have “trade dress” (signifiers of what company the driver is working for), and a requirement that pickups and drop-offs occur at the curb rather than in a travel lane would also be eliminated. Requirements for what data the companies must report to the city also would be much scaled back, Kitchen said. See here and here for the background. As we know, Uber and Lyft do not like fingerprint requirements. They successfully pulled off this ploy in San Antonio by leaving town until they got an ordinance they preferred. Now that stricter rules, they’re taking the same tack, though with different tactics. I strongly suspect that if this initiative makes it to the ballot, it will pass in comfort. 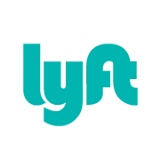 Mayor Steve Adler has been working with high-tech executives to craft what he sees as an innovative way to thread the needle between mandatory fingerprinting of drivers and implacable resistance to it by industry leaders Lyft and Uber. Adler calls it Thumbs-Up Austin. Adler and his kitchen cabinet of techies envision a nonprofit or a for-profit company that would build a “third-party, cross-platform badge validator” based on any number of measures of safety. Pointedly, Adler sees one of them being fingerprinting, and a background check based on that. Then a peer-to-peer vendor like Uber or Lyft — or lodging app Airbnb, for that matter — could prominently display on the app or vehicles an indicator that a driver or homeowner passed that safety test. Of course, participation in this would be voluntary, so it’s unclear how much of an effect it would have. And that’s assuming it makes it past the conceptual phase and into an actual product, which these outfits would buy into using. It’s not a bad idea, but I wouldn’t hold my breath. The Trib has more.